managed to create an explosive ladder to the sky is back. 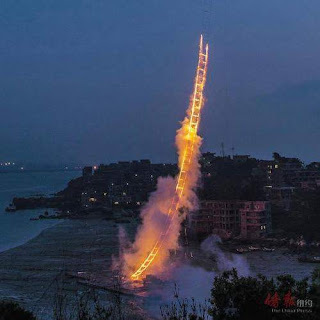 Cai Guoqiang’s latest project– a 500-meter-tall ladder made of fire - took him 21 years to realize. Last year, award-winning Scottish film director Kevin Macdonald made a documentary about his exploits.